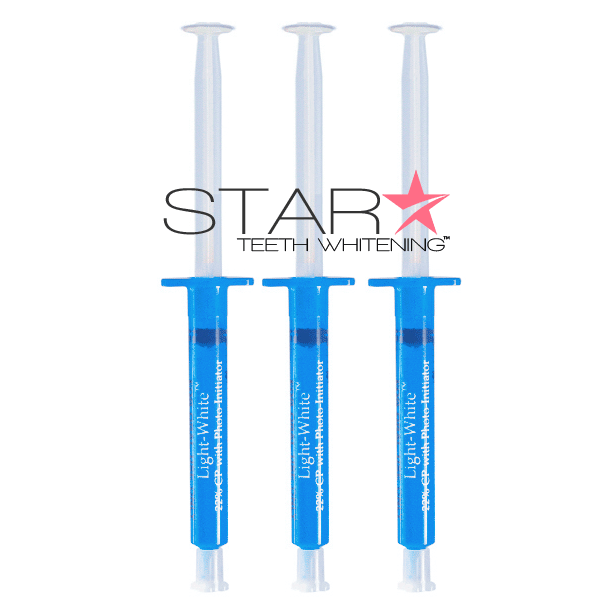 Star Teeth Whitening offers a variety of professional teeth whitening gels and refills. We offer 44%, 36%, 35%, 22%, and our 44% advanced laser-activated gel. Our gels are made fresh daily with results lasting for up to two years. Active ingredients includes pure carbamide peroxide (dental strength) with FDA approved materials. These are the same teeth whitening gels that your Dentist offers but without the high cost. 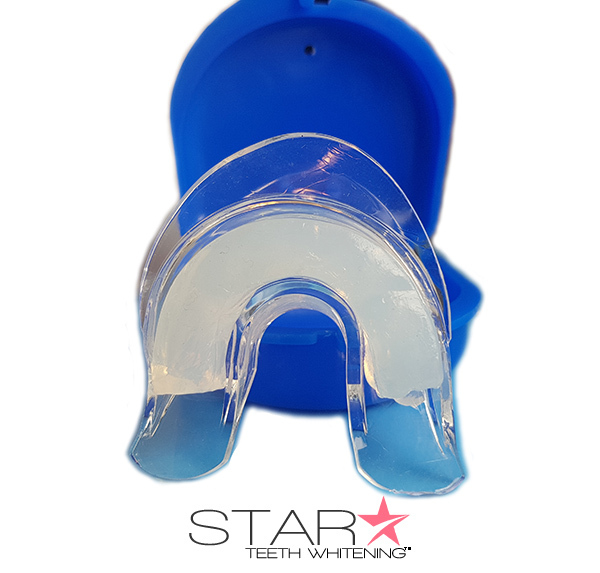 If you are a Dentist looking to expand your practice with Star Teeth Whitening™ gels, please contact us. 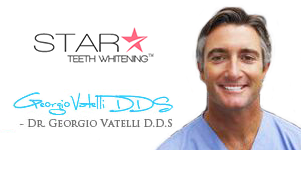 Our teeth whitening gel was formulated by celebrity cosmetic dentist, Dr. Georgio Vatelli DDS. With new advanced teeth whitening technologies, now is the best time to achieve a radiant smile with Star Teeth Whitening™. From the dentist to your door! 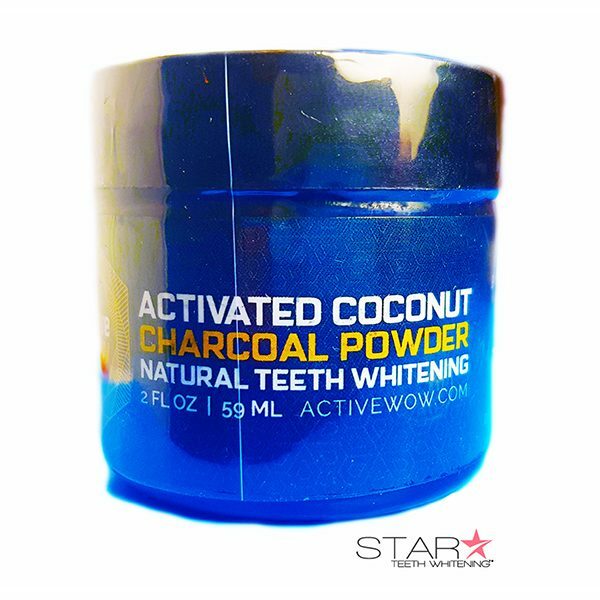 Active ingredients includes pure carbamide peroxide (dental strength) with FDA approved materials. These are the same teeth whitening gels that your Dentist offers but without the high cost. 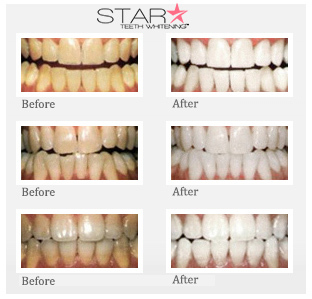 If you are a Dentist looking to expand your practice with Star Teeth Whitening™ gels, please contact us. Some people experience temporary tooth sensitivity during the treatment. Others have reported discomfort in the gums or in loose fillings. Gum irritation usually disappears within 1-3 days after beginning the procedure and always upon the discontinuation or completion of treatment. There are no other significant side effects. YOU SHOULD NOT USE THIS PRODUCT IF YOU ARE PREGNANT, HAVE HEALTH PROBLEMS, PERIODONTAL DISEASE OR GUMS THAT ARE IN POOR CONDITION, WEAR BRACES, HAD RECENT ORAL SURGERY, DECAYED TEETH, HAVE ROOTS THAT ARE EXPOSED, HAVE COLITIS, OR HAVE JAW PROBLEMS. The manufacturer and seller assume no responsibility for any usage of product. You should consult with a dentist before attempting any at-home treatments and understand that there are risks involved if not doing so. A small percentage of people may experience Reversible tooth sensitivity and gum irritation which disappears when use ends, or by decreasing the amount of time you bleach your teeth each time, or by increasing the amount of time between bleaching sessions. Are these the same teeth whitening gels used by cosmetic dentists? Yes. 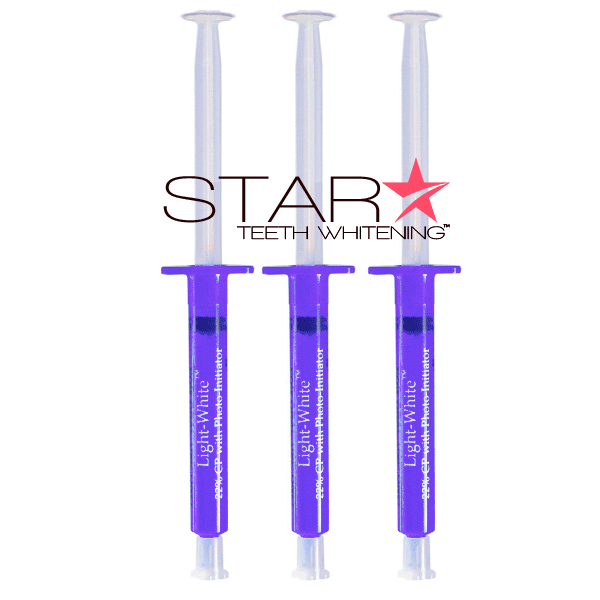 We supply to dentists worldwide with star teeth whitening products and gels. 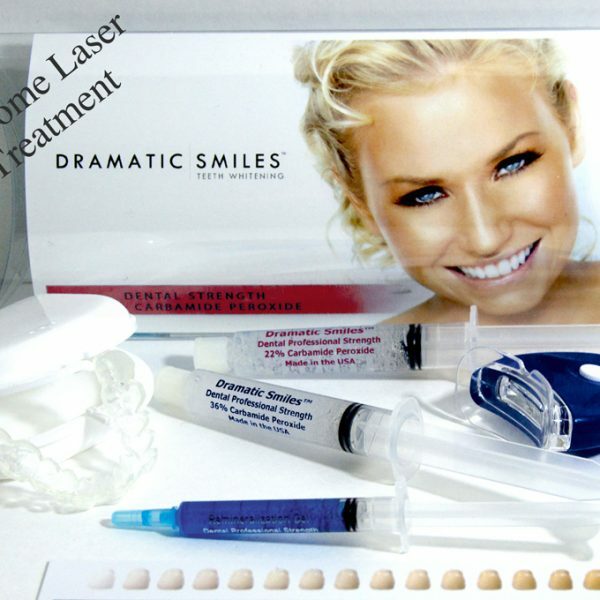 Our teeth whitening systems is the same treatment that 95% of cosmetic dentists use. How much does it cost to get the same procedure done by a dentist? Typically a dentist charges between $300 – $600 for the same treatment. How fast will I receive my products? With our free shipping option, orders usually take 2 to 3 business days once shipped out. You also have the option to upgrade to USPS Priority Mail for a flat rate of $7.95. What Strength of Gel is Best for Me? The strength of the gel is determined by how much percentage of carbamide peroxide (bleaching agent) is in the syringe. The higher the strength, the more potent the formula. Normal Teeth: We recommend our 30-Minute Gel, 36% Gel, or 35% Gel. If yes, we recommend our 22% teeth whitening gel. If you don’t have sensitivity issues we recommend our 35% or 36% teeth whitening gels. What gel percentage is the strongest? Our 30 Minute Gel and 36% carbamide peroxide gel is considered to be the strongest available. What teeth whitening gel delivers the fastest results? Our professional teeth whitening gel refills will deliver dental quality results at-home with results depending on the concentration of carbamide peroxide. The higher the concentration, the faster the results. Can I buy Star Teeth Whitening™ Gels from my Dentist? 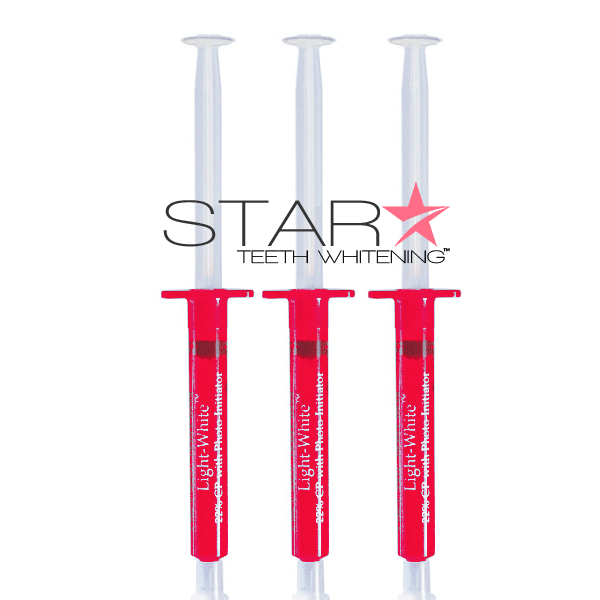 We have over 100 cosmetic dentists world-wide offering Star Teeth Whitening™ gel. Please contact your local dentist to determine if they offer our gels. What if I do not see dramatic results? We offer a 30 day money back guarantee on all of our products and gels. If for any reason you are not satisfied with your results, simply return the unused gels and receive a full refund. No questions asked. I need trays; what teeth whitening kit do you recommend? For first time users, we recommend our 22% teeth whitening system. For more experienced users, consider our 30-minute teeth whitening kit. The active bleaching agent in our teeth whitening gel is carbamide peroxide. Are your teeth whitening gels safe? Yes. Our refill gels are 100% safe to use. Tooth sensitivity may occur with our stronger percentages. I already have custom mouth trays from my dentist. Can I use these gels? Yes. These are the same whitening gels your dentist supplies. Our teeth whitening gels are made fresh daily and have a two year shelf life.